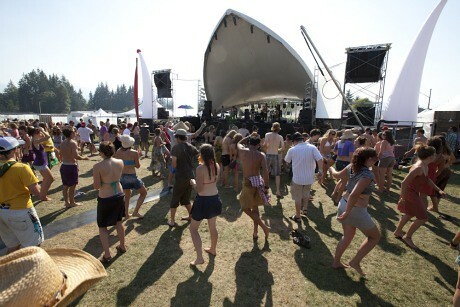 Big Time Out 2011 – Win Weekend Passes! 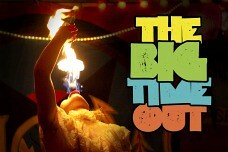 UPDATE: Thanks to everyone who entered and congratulations to Sarah Simmer on winning two weekend passes to Big Time Out 2011! Some things go hand-in-hand with summertime in the Comox Valley: swimming at Barber’s Hole, slurping ice cream cones on the dock at Comox Harbour and grilling up a storm on the backyard BBQ. You can add “rocking out at the Big Time Out” to that list. For the fifth year, Cumberland Village Works is cooking up a tour de force line-up for their annual music festival. Quickly becoming known for its eclectic mix of body-moving, soulful and diverse acts, the BTO can certainly be described as legendary. Far more than just music, BTO promises a smörgåsbord of tasty local eats, sideshow performers, roaming dance troupes and a lot of heart-filling fun for everyone. With each passing year, BTO keeps getting bigger with acts that are hard to beat. Among this year’s scheduled performers you’ll find Juno Award-winning Bedouin Soundclash, Beats Antique, The Boom Booms, Dub FX, Australia’s Kim Churchill, Current Swell out of Victoria, Kuba Oms & the Velvet Revolution, Brasstronaut and a few more surprises. Big Time Out 2011 will not disappoint. I’ll pick the lucky winner at noon on Friday, July 22nd – good luck! Where is it? Cumberland Village Park, Cumberland, BC in the beautiful Comox Valley. The park is located at the corner of 6th Street and Dunsmuir Avenue. How much are tickets? Until July 15th you can nab a two-day early bird pass for $85. After that the price goes up to $100; single-day tickets are also available. Buy yours online. Kids 12 and under are FREE! I want tickets in my hot little hand! You can find tickets at Tarbells and The Waverley (Cumberland), Bop City Records (Courtenay), Lucid (Nanaimo), Music Plant (Campbell River), Green Soul Organics (Tofino), Lyle’s (Victoria) and Highlife Music (Vancouver). Where can I stay? Campgrounds abound plenty in the Comox Valley, but some on-site camping will be available. Buy your campsite pass online – check out their policies first. Where am I gonna park my car? Parking in Cumberland is extremely limited. Carpooling with friends is your best bet or grab a ride with Comox Valley Transit. If you decide to drive, don’t block residents’ driveways and be sure to park in designated areas only. I need more info! 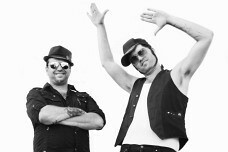 Visit Big Time Out 2011 online, find them on Facebook or follow Cumberland Village works on Twitter. *Passes will be awarded to one winner at random. Passes are non-transferable and have no monetary value. Winner will be responsible for all costs associated with the weekend apart from festival admittance. All photos © Cumberland Village Works. Pooh I’d love to win!! If I won I’d be most excited about swing bedourin soundclash. Itd be great to see them live! Fingers crossed ! 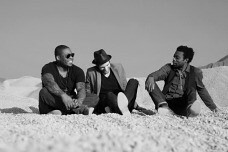 I want to see bedouin soundclash! I would love to go (I have wanted to go every year and due to circumstances it hasn’t worked out). I would love to see Kuba Oms (as well as check out the music from other artists I have not yet heard). also it would be wonderful to take my busted girlfriend to the show! The current swell really are swell. I’d love to see them somewhere outdoors….say isn’t your festival outdoors? Great! All I need now is tickets….say, didn’t you say you were giving some away? Well my my. Ohhhhhhhhh!!! I would especially LOVE to see Bedouin Soundclash!